A language isn’t just a set of words bound together by grammar and syntax rules. Language is first and foremost culture. And when learning a language, I firmly believe that you should feel its cultural beat. I mean culture in the broadest sense: how people express their love, their joy and their anger; what people watch on TV and listen to on the radio; what they cook, eat and drink; what they talk about among friends, family and colleagues; what makes them laugh and what makes them cry; their art and their heritage; their habits, their tastes, and simply the way they live. As a language learner, you should try to feel that pulse, that vibration of the language early on. This means that you should expose yourself to real life – in addition to courses and textbooks – as much as possible. Travelling, meeting people, watching authentic videos or listening to music are all activities that connect you not only to a language, but also to its living culture. A real challenge is that real-life language is not exactly the same as the one you learn in textbooks. Not only do the written and the spoken forms of a language differ, but spoken forms themselves vary through generations, people, places and contexts. French spoken in the streets differs from the one you’ll hear on TV. People don’t speak in the exact same way today as they did 10, 20 or 30 years ago. Politicians and teenagers don’t use the same vocabulary. You’ll hear words in Marseille that you won’t hear in Paris. Etc. But you’re learning a language to use it, aren’t you? So if you have already reached intermediate or advanced level, learning these variations is the obvious way to go. What if you are a beginner? You may think that “real-life” language isn’t yet for you. Shouldn’t you worry about subtleties only after you master the basics? My answer is yes and no. Yes, you should of course go step by step and avoid feeling overwhelmed by too much complexity. But I also think that, even as a beginner, you should allow yourself to learn some non-textbook French. 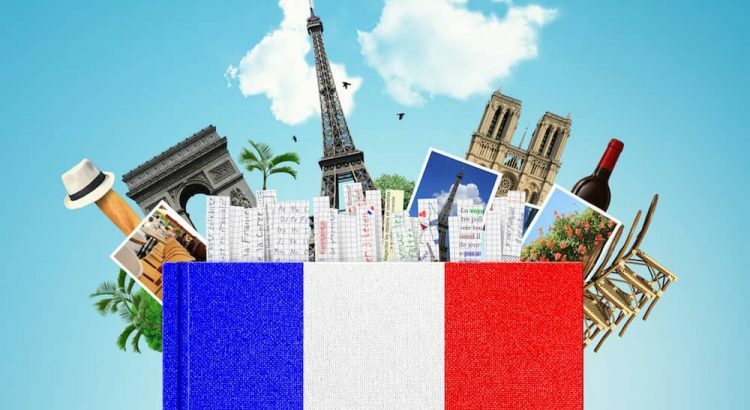 Read a song’s lyrics, watch some news or comedy, learn some slang or even learn to recognize some grammar mistakes the French commonly make. Why? To feel the the taste of it. To experience the cultural emotion, the “ah-ha” moments that will immediately boost your motivation. The Eureka effects. Have you ever felt that excitement when understanding an actual sentence – in real life context – feels like you’ve unlocked some sort of secret code? You’ve heard that song for so long and you finally know what it means! Your French friend made a joke and you actually laugh at it! You’ve understood something from the real world – and that’s a world you can be part of! In my experience, these little cultural breakthroughs leave a flavour that makes everything else – the grammar, the syntax, the exceptions – taste better. And it’s not just about the motivation. Pick up a joke, a piece of news, a popular song or a catchy slang expression – these will impress your French interlocutors much more than a well-constructed sentence. It will give you something to talk about; it can be the click that will help you break the communication barrier. Real-life French will also help you learn vocabulary more efficiently, because you will always remember a word with a meaning and a context more easily. It will help you train your ear and improve your listening skills. And it will help you feel less intimidated when you have to actually use the language outside textbooks and classrooms. We’ve created Ilini to make you “feel” that cultural vibe. Ilini lowers the barrier of access to culture-rich content by giving the tools that make it easy to watch, understand and learn from real-life French videos. We believe that cultural understanding – and cultural emotions! – should be an integral part of the language learning process, at every step of your journey. To find out more about Ilini, read Introducing Ilini on the blog or go straight to www.ilini.com.